If you'd like to run the application in the simulator, you're all set and ready to play! To run on the device, you'll need to have the server on your machine reachable from the device - either using ngrok to forward traffic to your machine or hosting it somewhere accessible. You have been assigned a random user identity and opened a Sync document called "sync.game". 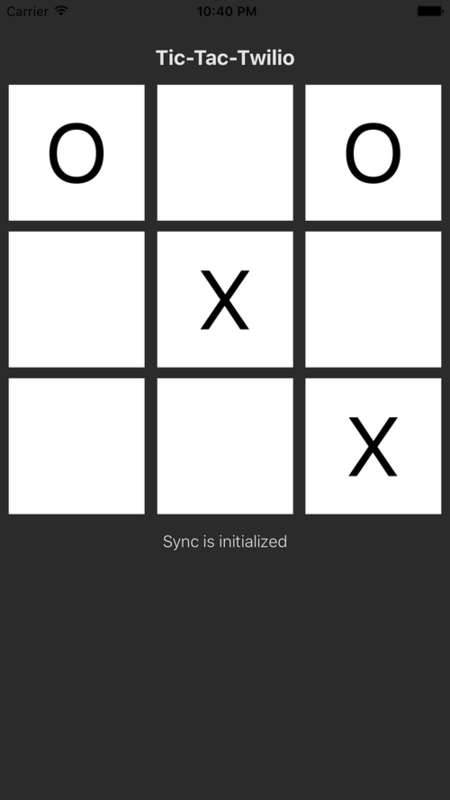 If you open this app on another device or you can play against the server running locally on your machine in a browser window or tab, you should be able to play an X or O on the board and see the game board replicate across the other client.